Ok all of my doubts are officially gone about the upcoming television adaptation of The Walking Dead. I just recently saw some of the stills taken for this epic series and it literally blew my mind!! I checked them out at Bloody Disgusting and thought I really needed to put a few of them up here in case anyone had any doubts on just how cool this show is shaping up to be. 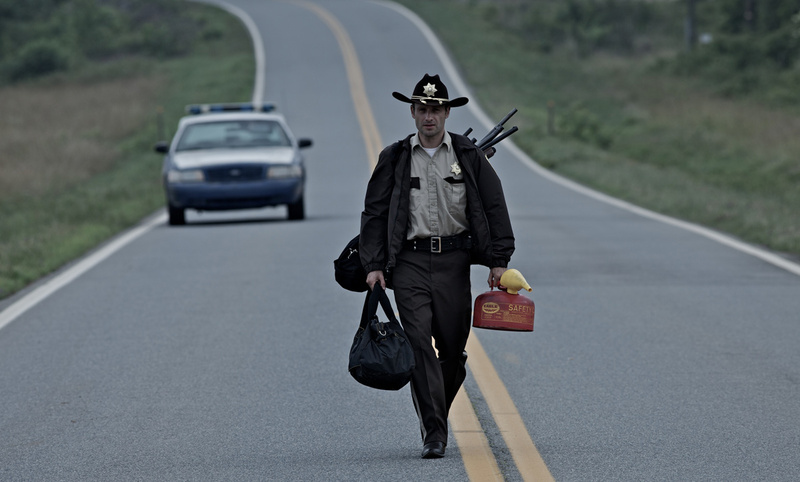 First off the this image here of Rick Grimes walking on the highway practically gave me the chills upon first sight. Andrew Lincoln who’s playing Rick looks fantastic-don’t you think?? This makes me kinda wonder exactly how this tv series is going to start off. Will they choose to use the 28 Days Later Beginning?? I am crossing my fingers that the answer is no. 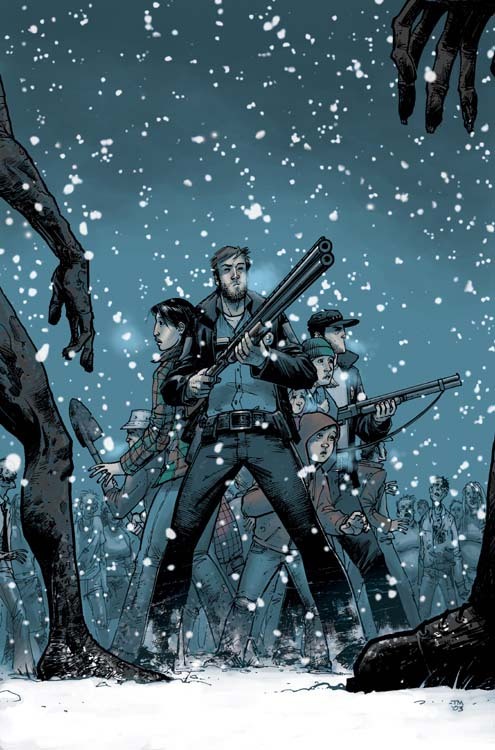 I think that opening could turn alot of people off from the tv show-to be honest the first time I read the Walking Dead, at least issue one, I simply passed it off as some cheap Image rip-off comic that was cranked out to jump on the zombie bandwagon. Well shortly thereafter I was encouraged to read the whole first trade while at the comic shop. The clerk even promised me that if I gave it another shot and still didn’t like it I could bring the trade back for a full refund. I read the first six isssues and was hooked ever since. 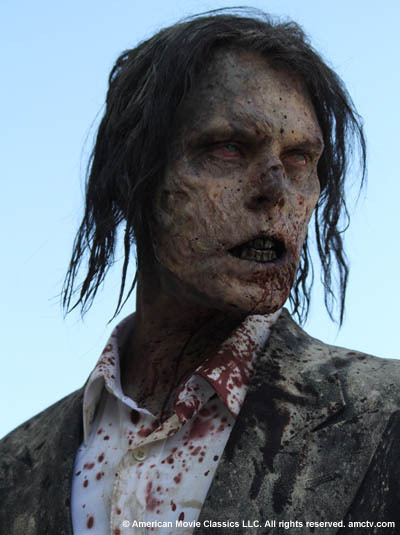 Anyway there are some amazing pictures here as well they posted of the the actual zombies appearing on the show. They look fantastic. 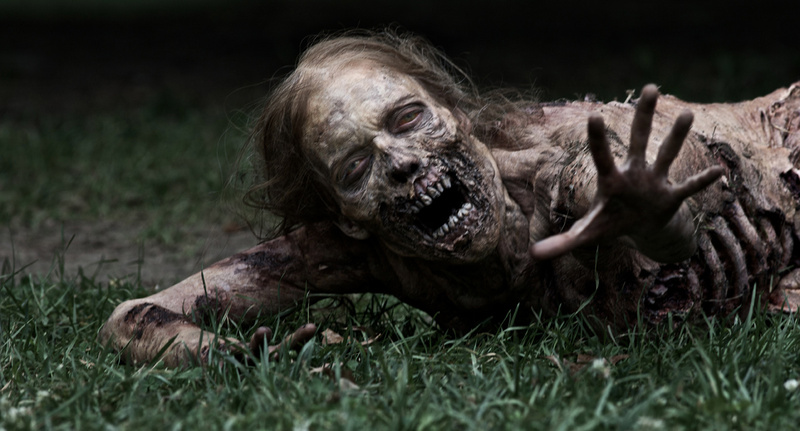 I have always appreciated zombie movies with some really truely gnarly looking zombies. Zombies with character and not just some dude running around with some grey paint smeared on his face. From these first pics of the undead it seems that they aren’t skimping on them. Together with an amazing story that ‘s as infectious as Lost used to be, this show is bound to be a mega hit. People, it just ain’t gonna get any better than this!! wow, gross deadness, those zombies do look legit. i have not read this comic and, like watching LOST, you are convincing me to give it a shot. Yeah the New Devo Rocks….